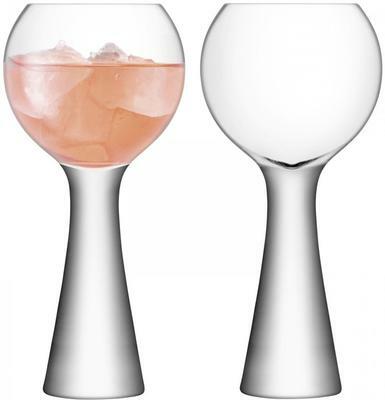 One of the more unique wine glasses we have in the shop, the LSA Moya Wine Balloon Glasses - Set of 2 is perfect if you want a functional wine glass and something that will make your guests say "wow!" These glasses actually look more like fish bowls instead of the traditional wine glass. This means more wine and more stylish points for you! 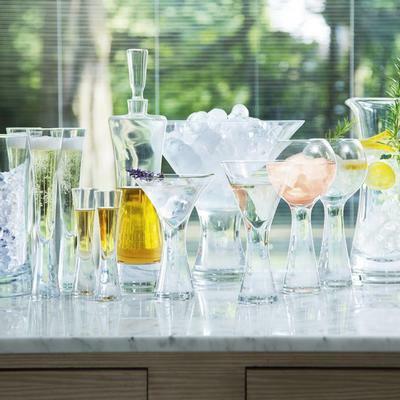 The glasses are individually mouth blown and crafted by hand. 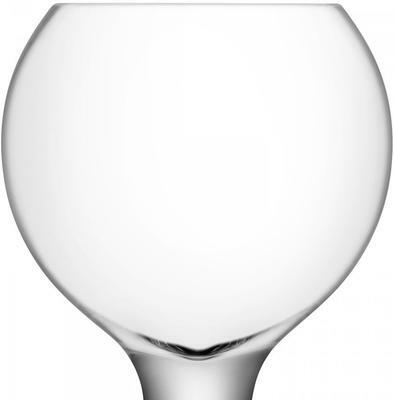 These come with a long thick glass stem and a bulbous, curved body for holding your drink. Perfectly sculpted and gorgeously presentable, you'll love how it's such a unique conversation starter. These also make the perfect present for weddings, anniversaries or someone who just loves unique wine glasses. LSA was founded 40 years ago. With their dedication towards providing high quality and durable products, LSA International has become one of the leading brands, and helps to define what is stylistically desirable today. With their Creative Director Monika Lubkowska-Jonas, they focus on the imaginative and modern designs for eating and drinking products, and products which enhance the home. Although they are famous for their hand-crafted glasses, LSA has also become known for their porcelain tableware.